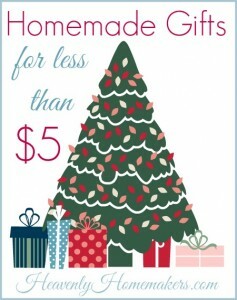 Don’t even want to spend $5.00 on a gift? Well then, how does 8¢ sound to you? Yeehaw. Now I know what you’re thinking, but just settle down. Cute as these are, you need to leave your shower curtain right where it is. Your family will not be nearly as thrilled to see your creations at the end of the day if they walk into the bathroom and see the shower curtain crumpled on the floor. Instead, I suggest that everyone of you needs to head to the store right this minute (after you finish reading this) to pick up a package of shower curtain rings. I got a 12-pack for just 97¢. If you have little girls in your life, you should pick up several packs because these bracelets are sooooo much fun to make! These would be perfect gifts for friends at school, cousins, nieces – and if you cut off the end of the ring, these should fit many adult ladies too. 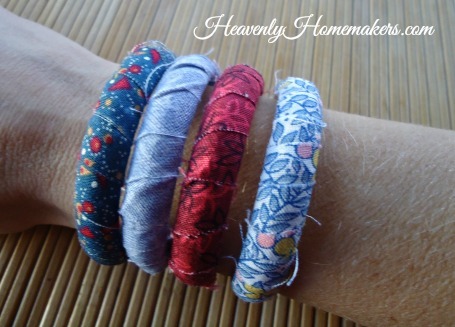 I made 12 bracelets in less than an hour using my handy new $3 hot glue gun. If I can make these, anyone can make them – guaranteed. 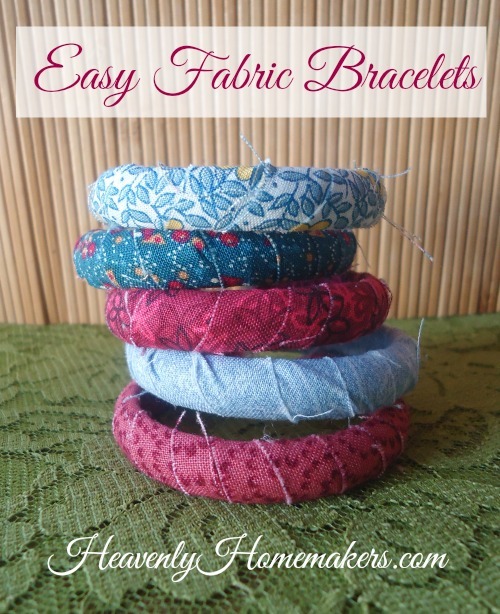 If you have bits of fabric lying around, this is a great way to use it up and avoid spending extra money on this gift. 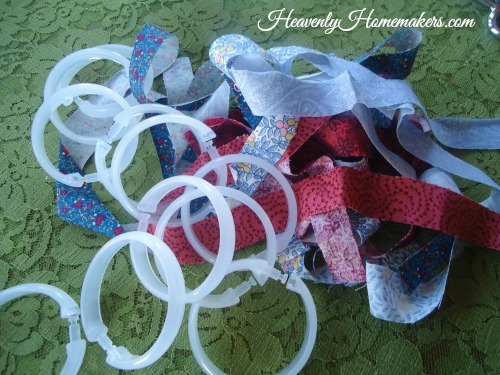 Begin by hot gluing one end of the fabric strip to the inside of a shower curtain ring. Tightly wrap the fabric around and around the ring, adding one or two more drops of hot glue to secure the fabric as you go. Cut any left-over fabric off at the end and glue in place. I plan to gift some of these to my elementary-aged prayer pal at church – a little reminder that I’m praying for her. I’ll let my nieces pick out a few. Malachi even suggested that we send some to Gladis. Won’t she have fun sharing some of these with her friends! Hope you have as much fun with these as I am having. Thanks to everyone who has sent in Homemade Gifts for Under $5 ideas. Keep them coming! I’ll be sharing them here soon. You won’t believe how many great ideas there are for inexpensive homemade gifting! Now, go. Go buy shower curtain rings. On another blog they gave ideas for RACK (Random Acts of Christmas Kindness). These bracelets would be perfect to do for that. I may just have to go and buy me some shower curtain rings. Thank you for the great idea. Another idea would be to decorate the shower curtain rings with duct tape (they have all sorts of patterns/colors available). It would be a fun & inexpensive craft to do with kids. I’m thinking if you alternate red & white strips (cutting mats work great), you could make some cute “candy cane” bracelets. Clever idea! Thanks so much for sharing. Where did you get the shower curtain rings and are they big enough to fit comfortably as a bracelet? The ones I have at home are too small!